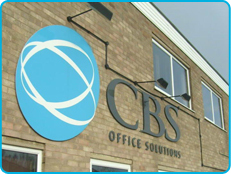 CBS Office Solutions has supplied businesses in and around St Ives for over 20 years. Outsourcing your archiving can help to reduce costs and increase your office space, businesses in St Ives can take advantage of our purpose built storage for archiving and document storage as well as our free delivery and collection service, whether it’s one box or many more Cambridge Storage will gladly take care of it. Cambridge Storage also provides an archive destruction service for when you no longer need to keep the items in storage with us.